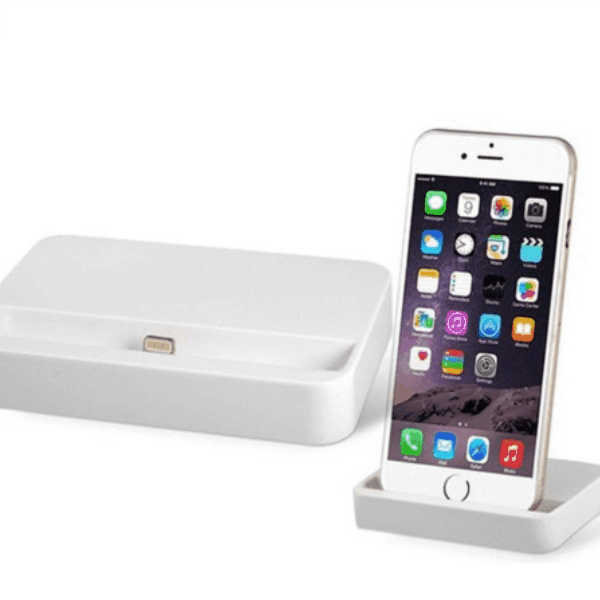 iPhone 5, 5S, 5C, 6, 6+ Sync & Charge Dock ONLY $9.99 + FREE Shipping (was $30)! You are here: Home / Great Deals / iPhone 5, 5S, 5C, 6, 6+ Sync & Charge Dock ONLY $9.99 + FREE Shipping (was $30)! iPhone Sync & Charge Dock ONLY $9.99 + FREE Shipping (was $30)! Wow! Hurry and grab this nifty iPhone Sync & Charge Dock for ONLY $9.99 + FREE Shipping (was $30)! Works with iPhone’s 5, 5S, 5C, 6, and 6+!